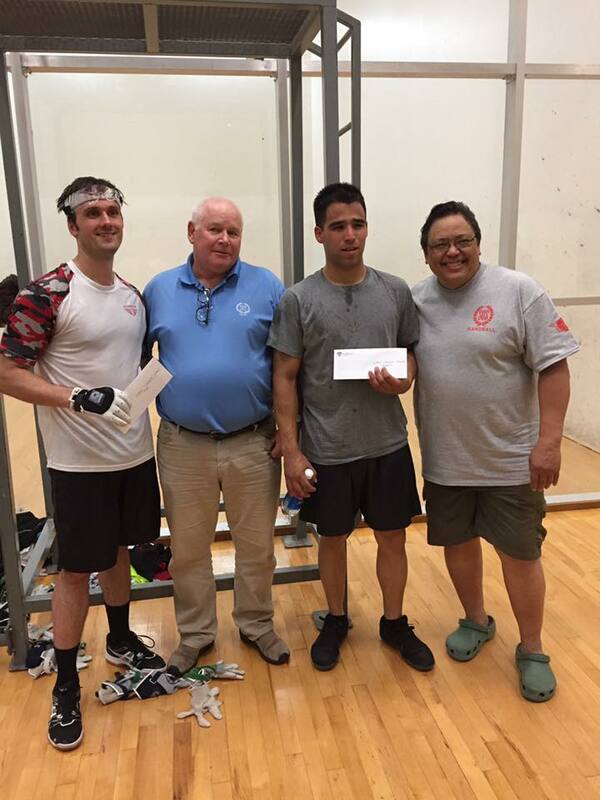 Modesto, CA, WPH Press, 5/31/17- The SOS Club and tournament directors Tom Sove, Everett Leon-Guerrero, John Field, and Carl Rice proudly hosted the 53rd Annual 2017 SOS Memorial Day Handball Tournament and USHA NorCal/Nevada Regional on Memorial Day Weekend. 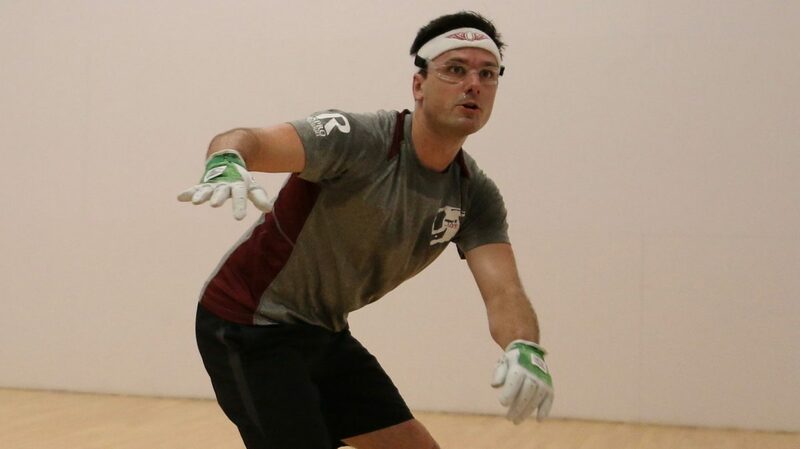 The Olympic Club’s handball pro emeritus and R48 #7 pro Emmett Peixoto entered the event as the two-time defending small ball and big ball open singles champion and seeking a three-peat. Standing in Peixoto’s way was Olympic Club teammate and R48 #19 Erik Torres. Peixoto cruised to the final, defeating Leonard De La Torre in the semifinals, while second-seeded Torres ousted Lefty Suarez to advance to the final. Peixoto entered the SOS small ball singles final making his first tournament start in two months after breaking his hand at the R48 6 NYAC, while Torres was making his first tournament start since winning the Olympic Club Invitational in February and aiming to end Peixoto’s unbeaten streak against him in the final. Peixoto was dominant in game one, crushing his younger challenger 21-4. Unfazed, Torres demonstrated his sensational skills in game two, building a 15-7 lead and cruising to a second-game win. “The first game just took all of my energy and I just could not move (in the second game),” revealed Peixoto. Peixoto regrouped in the tiebreaker, building a 7-4 lead before being caught at eight. “I managed to build a lead in the tiebreaker but I was exhausted from running around most shots to use my right to avoid my injured left hand,” stated Peixoto. Peixoto used his big-match experience and shot making to edge Torres late in the decider, scoring the final three points of the match to take his third consecutive SOS title. “After catching him at eight in the tiebreaker, I just couldn’t closeout the match,” stated Torres. “It was a fun match. Emmett seemed to be much more fatigued and I seemed to have more spring on the court. Still, Emmett was able to play really well and dug deep enough to close it out. He used all of his timeouts, equipment timeouts, and used the towel well to do just enough to get me out of my game. 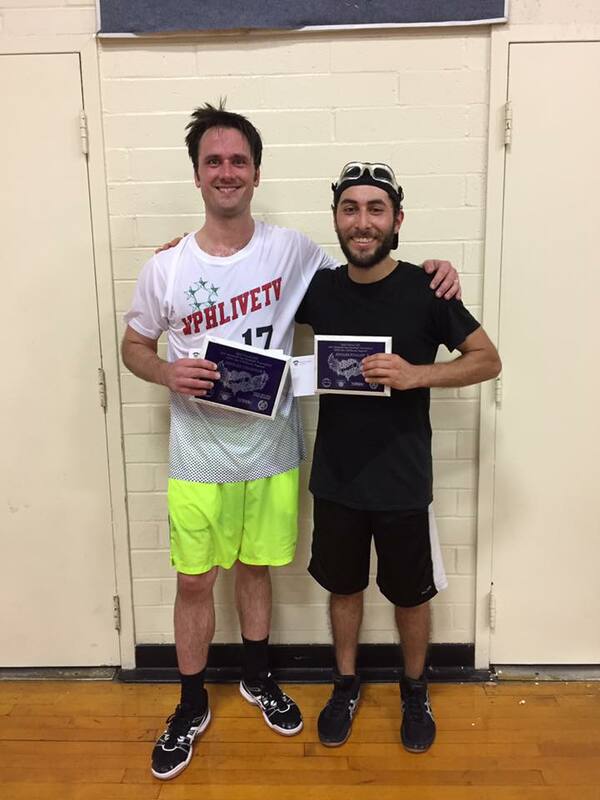 Peixoto slammed for the third consecutive year, winning the Open Big Ball singles by defeating “The Flying Squirrel,” Fernando Diaz. In a highly competitive and grueling match, Peixoto was able to outlast Diaz for the title. “Fernando was fast, retrieved and re-killed many nearly flat kills, and did an excellent job cutting everything off, causing me to react to every ball quickly with little time in between shots,” stated an impressed Peixoto. The 53rd Annual SOS Memorial Day Handball Tournament will be the last at Modesto’s SOS Club, as the club was purchased by Andre Agassi and will be made into a charter school.